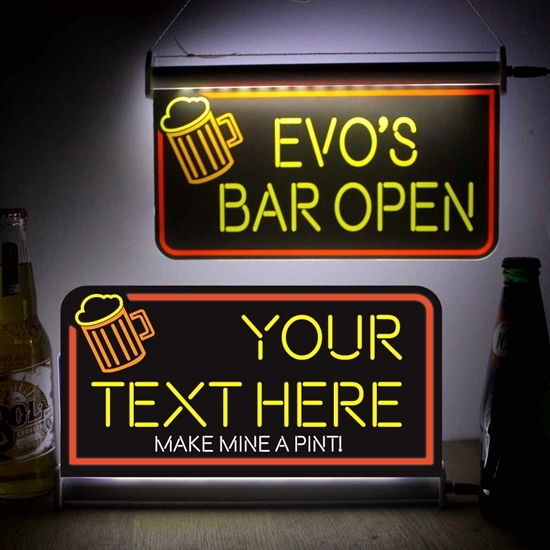 NEW illuminated LED neon effect sign, personalised with any text you like. Black background with bright coloured text and logo. •The Led's are mounted in the base case.